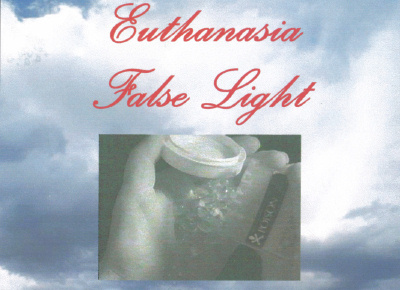 The International Anti-Euthanasia Task Force’s compelling 15-minute video, Euthanasia: False Light, has won two prestigious national Telly Awards. The highly-respected Telly Awards were established in 1980 and showcase outstanding television and video productions. The IAETF’s educational video was categorized as a non-broadcast film and won in the “social issues” category. Over 9,000 total entries were submitted and judged. Kevorkian’s legal problems are not over, however. He is scheduled to go on trial April 1 for the 1991 deaths of Sherry Miller and Marjorie Wantz. This time, Kevorkian is being charged, not under an expired statute, but under common law as determined by the MI Supreme Court. Of all the 27 known Kevorkian-assisted deaths, the Wantz case may be the strongest case to argue in court. Kevorkian claimed that she had excruciating pelvic pain, but he never examined her. An autopsy found that there was nothing physically wrong with her. When the coroner was called to examine the body, the first thing he noticed was the bright pink blush of the cheeks. It was not the glow of health. It was the artificial pink that only carbon monoxide gives to its victims. And in Oakland County, Michigan, death by carbon monoxide suggests only one perpetrator: Jack Kevorkian. As an expert in cancer pain management, I was called on by the prosecutors to review the medical records of one of Kevorkian’s victims, obtained from a police search of the unlicensed pathologist’s home. I also reviewed the videotape that Kevorkian had made of his interview with the victim, shortly before his death by inhalation of poisonous gas. I thought I had grown used to seeing death. But the deaths that I have seen so often were far different from the images that flickered in this amateur videotape. The deaths I have witnessed were almost always those of people whose pain was controlled, people surrounded by family, often literally holding their hands as their lives slipped away. This death, with Kevorkian’s aid, was to be little different from putting the family dog to sleep. But of course I already knew that hours after the videotape was made, the myeloma patient had joined the long list of those who had died “in the presence of” Jack Kevorkian. The taped interview itself reminded me of carbon monoxide. Just as carbon monoxide is colorless and odorless, resembling healthy air, so this encounter between Kevorkian and his victim had the simulacrum of a genuine medical interview. But when Kevorkian asked the victim whether or not he had been experiencing pain, it was not with the intent to find a better medicine to treat it. It was to justify the use of the carbon monoxide he had obtained even before meeting the man. When Kevorkian asked about the victim’s anguish and wish to die, it was not to assess or relieve the obvious depression. It was to document that his “assistance” was given only with the victim’s consent. Kevorkian’s purpose in supplying the poison gas had not been to kill, but rather to relieve pain and suffering. It all seemed like law and pretended to be a search for justice, but, like carbon monoxide, was but a perversion of what it struggled to resemble. Somehow all this facade and mimicry is perfectly appropriate for a trial that revolves around the question of euthanasia. For euthanasia itself, in its promise of “a good life, a good death,” appears to be the rose, but in fact is the serpent beneath it. Euthanasia does not put an end to burdensome treatment; it puts an end to burdensome people. It does not seek to relieve pain and suffering; it seeks to eliminate the desperate person whose inadequately treated pain and depression has led him to want suicide. Euthanasia does not care for the disabled; rather it shows contempt for them by saying that their lives are not worthy of living. How ironic! In his choice of carbon monoxide as his agent of death, Jack Kevorkian has stumbled on the perfect metaphor for the euthanasia movement. It has no odor; it appears to be simply so much air. But all it leaves in its wake is a pink-cheeked corpse. Eric M. Chevlen, M.D., is a cancer specialist, a board certified pain control specialist, and a medical consultant to the IAETF. He testified as an expert witness for the prosecution in the most recent Kevorkian trial. Dr. Chevlen is the director of Palliative Care at St. Elizabeth Health Center in Youngstown, Ohio. A former California physician, who was diagnosed with Alzhiemer’s disease six years ago, is now at the center of an ugly two-state court battle that has pitted judge against judge and family member against family member. As reported in the last Update (11-12/95:1), Dr. Gerald “Chip” Klooster II, a Michigan osteopathic physician, found out that his mother, Ruth, was making plans to end his father’s life with the help of Jack Kevorkian. If Chip had not taken action by removing his father from his mother’s control, the elder Dr. Gerald Klooster, who is not competent to make informed decisions, might have unknowingly been Kevorkian’s 27th victim. Telephone records indicate that last November, while Chip’s parents were vacationing at the Florida home of longtime friends, Joseph and Teresa Rodriguez, Ruth, a member of the Hemlock Society, made four calls to Kevorkian, three to Neal Nicol (Kevorkian’s close associate whose home has been the site of a number of assisted deaths), and two calls to the Concord Inn (a motel near Nicol’s house). The IAETF has confirmed that a reservation at the Concord Inn in the name of Gerald Klooster was made for November 18, with a departure date of November 19. Michigan Probate Judge Frederick Mulhauser immediately granted Chip temporary custody of his father pending a formal hearing. Shortly after, however, California Probate Judge William McKinstry granted temporary custody to Chip’s sister, Kristin Hamstra, stating that Chip’s conduct in taking his father to Michigan made him an inappropriate candidate for guardianship. [California Superior Ct., In the Matter of Gerald Klooster, Sr., No. HO23466-9. 12/1/95, Transcript, p. 99] Judge McKinstry gave Kristin custody in spite of her testimony that she and her three brothers living in California knew about their mother’s assisted-suicide plans and Kevorkian. [p. 28] They all knew, but only Chip, a Michigan resident, had taken action to protect his father. In December and January, Michigan Judge Mulhauser spent five days conducting a fully-contested hearing, with testimony given by both the California and Michigan family members and Joseph and Teresa Rodriguez from Florida. Ruth Klooster, however, refused to answer questions, citing the Fifth Amendment protection against self-incrimination. Comment: Craig’s allegation that his brother is greedy for the Klooster inheritance is at odds with the fact that Chip’s actions are indicative of a son fighting to save his father’s life. If what Chip wanted was an early inheritance, as Craig contends, then all he had to do was remain silent and go along with his mother and siblings — and Kevorkian. 1 Appellants Brief at 30. 2 Lee v. Oregon, 891 F. Supp. 1429, 1232, (D.Or. 1995). 6 C. Gill, Suicide Intervention for People with Disabilities: A Lesson in Inequality, 8 Issues in Law & Medicine 37, 46 (1992). 7 K ristallnacht 1938-1988 (PBS television broadcast, Nov. 9, 1988). Editor’s note: Anyone interested in obtaining a copy of the IAETF’s 35-page brief, please send a request plus $7.50 for postage and handling to: IAETF, P.O. Box 760, Steubenville, OH 43952. On 1/4/96 New Hampshire’s House of Representatives overwhelmingly defeated HB 339, a bill (almost identical to Oregon’s Measure 16) which would have legalized assisted suicide. This was the third attempt by right-to-die advocates in that state to pass such a measure. Despite all their efforts, the bill was resoundingly rejected by a vote of 256-90. An earlier attempt to table the bill for a future vote also failed by 220-125. Many believed that the bill would likely pass in the House since that branch of the state legislature is thought to be very liberal, particularly with regard to social policies. Last October the House Judiciary and Family Law Committee recommended passage of the bill by a vote of 12-7 and re-referred the measure for a full House vote in January 1996. This was the first time any state legislative committee had approved an assisted-suicide bill. A bill which would make assisted suicide a felony has been introduced in the South Carolina legislature. HB 4377 would amend the state penal code, making it a felony for a person to intentionally provide “the physical means by which the other person attempts to commit suicide” or participate “in a physical act by which the other person attempts to commit or commits suicide.” HB 4377 is currently before the House Judiciary Committee. The Iowa legislature has passed a bill prohibiting assisted suicide. The governor is expected to sign the bill into law. SB 2066 makes it a class “C” felony “if the person intentionally or knowingly assists, solicits, or incites another person to commit or attempt to commit suicide, or participates in the physical act by which another person commits or attempts to commit suicide.” The penalty for assisting a suicide is up to 10 years in prison and a $500 to $10,000 fine. The bill also allows for the consideration of “mitigating circumstances” at a pre-sentencing hearing. According to abstracts from two separate surveys, published in the 2/1/96 issue of the New England Journal of Medicine, a majority of physicians in Oregon and Michigan favor legalizing physician-assisted suicide. In actuality, however, the surveys’ findings are not that cut and dry. All the B-movie scenes I watched as a child flashed through my mind when I heard that a convicted murderer had been recently executed by firing squad. My visceral reaction was to cringe, instantly imagining the terror of being blindfolded and waiting for the bullets to hit. What I couldn’t imagine, though, were the feelings of being one of the men called to pick up and aim a piece of cold, hard steel at another human being. Would the man cope by pretending it was just another round of target practice? Would he try to remember the details of the murders and the tears of the victims’ families to muster the outrage that such crimes call for? What did he feel after the execution — sadness or satisfaction? I was not surprised to later learn that one of the firing squad guns contained only blank bullets. In such circumstances, it is sensible to protect each executioner from the certain knowledge that he personally ended another’s life. In the more common lethal injection executions, the process is said to include at least two people and two buttons to start the process. Again, the procedure for legally terminating another life tries to protect those whom society asks to perform the awful task. It is ironic, therefore, that society is considering the addition of yet another kind of execution to the legal list — assisted suicide — but this time without the blank bullets. Few people would seriously consider legalizing relative– or family-assisted suicide. The inherent dangers of this type of private killing are much too obvious. Thus, the goal must be physician-assisted suicide or, more accurately, health care professional-assisted suicide, since nurses also must necessarily be involved when the assisted suicide occurs in a health facility or home health situation. We doctors and nurses are the ones society is now considering asking to perform the act of terminating lives, but unlike the firing squad or the lethal injection team, we will know and have to live with the certain knowledge that we caused death. It is doubly ironic that when a convicted murderer tries to discourage efforts by lawyers to stop his or her execution, this is considered as a sign of stress or mental disorder, while a sick person’s willingness to die is considered an understandable and even courageous decision! How do we reconcile the two views that killing is the ultimate punishment for a convicted murderer and, at the same time, the ultimate blessing for an innocent dying or disabled person? Both the American Medical Association and the American Nurses Association have recently issued strong statements against assisted suicide and euthanasia. While acknowledging the very real deficiencies too often found in care at the end of life, these organizations call for more education and access to help instead of the simple but dangerous option of killing terminally-ill or severely-disabled people or helping such people kill themselves. It is eminently logical that our concern for life should not be limited to just the curable. And, although some polls show that a significant number of doctors and nurses, like the general public, say they could support assisted suicide in a hypothetical case, when faced with the realities and ramifications of legalizing the practice, most express deep concerns and fears regarding its implementation. Society has long insisted that health care professionals adhere to the highest standards of ethics as a form of protection for society. The vulnerability of a sick person and the inability of society to monitor every health care decision or action are powerful motivators to enforce such standards. For thousands of years doctors (and nurses) have embraced the Hippocratic standard that “I will give no deadly medicine to any one, nor suggest any such counsel.” Should the bright line doctors and nurses themselves have drawn to separate killing from caring now be erased by legislators or judges? This should not be surprising. Think about it. All of us have had at least fleeting thoughts of suicide in a time of crisis. Imagine how we would feel if we confided this to a close friend or relative who replied, “You’re right. I can’t see any other way out either.” Would we consider this reply as compassionate or, instead, desperately discouraging? The terminally-ill or disabled person is no different from the rest of us in this respect. I often wonder if right-to-die supporters really expect us doctors and nurses to be able to assist the suicide of one patient and then go on to care for a similar patient who wants to live without this having an effect on our ethics or our empathy. Do they really want to risk more Jack Kevorkians setting their own standards of who should live and who should die? The excuse that the only real issue is the patient’s choice would be cold comfort to us doctors and nurses when we have to go home and face the fact that we helped kill another human being or had to remain silently powerless while some of us legally participated. There will be no blank bullets then for us — or for society. 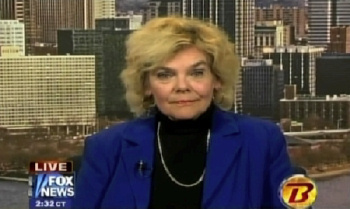 Nancy Valko, R.N., is an oncology nurse and the author of numerous articles on bioethical issues. She is also listed in the 1996-1997 edition of Who’s Who in American Nursing. The Episcopal Diocese of Newark, NJ, has approved a resolution stating that committing suicide or assisting another to commit suicide may be morally permissible under certain circumstances. The resolution was passed after a lengthy debate by approximately two-thirds of the 600 delegates attending the diocesan convention January 26-27. The resolution states that it is acceptable for a terminally-ill person to commit suicide if “pain is persistent and/or progressive; when all other reasonable means of amelioration of pain and suffering have been exhausted; and when the decision to hasten death is a truly informed and voluntary choice free from external coercion.” This statement is in direct opposition to a resolution adopted by the national Episcopal Church during its General Convention in 1991. That resolution states that “it is morally wrong and unacceptable to take a human life in order to relieve the suffering caused by incurable illness.” The sometimes controversial Episcopal bishop of Newark, John S. Spong, said that his diocese’s new resolution would be brought to the national General Convention in 1997. [The Living Church, 2/96] It is expected to meet with strong opposition within the Episcopal Church.